“ I love to involve students in a dynamic learning process: my aim is to make students understand how architecture is related to our life, and how design deals with our use and appropriation of every-day space. I believe that sharing my experience through desk-cries and model making on practical case studies allows students to obtain awareness of space complexity, and to develop a personal approach to interior architecture. 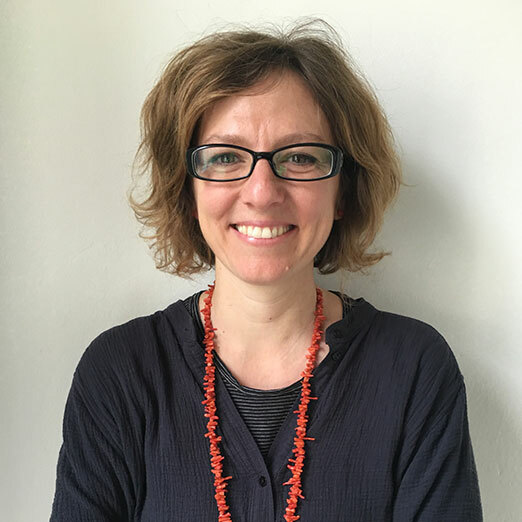 Colomba Pecchioli, born in Florence in 1976, after receiving her classic Diploma studied architecture in the University of Florence, where she graduated with honors in 2003, with a thesis on Trieste’s waterfront redevelopment. From 2004 she is founding member of “acmearchitetture”, a young professional network that was awarded in many international design competitions and projects, such as in 2006 the first price for the new Arsenale bridge in Venice, and in 2005 the Ca’ di Dio bridge’s accessibility project in Venice. From the same year she’s assistant teacher in the University of Florence for Architecture and Interior design, Urban Reuse, Exhibit design Courses and she is, through the years, correlator in many urban reuse design thesis. In 2005 she confirm her attitude in team projects as she is a founding member of “ottoperotto” network, a collaborative platform of young architects born to promote urban environments, temporary exhibitions and installations and foster a contemporary architectural culture in Florence. In the same years she is part of the board of AND magazine, focusing her collaboration on interviews to different personalities of culture. In 2009 she is promoting the “Firmiamolalettera” movement and in the same year she’s elected in the Architect’s Official Board of Florence, where she is nominated President in 2012. In the same year she is co-founder of “p+p architetti associati” with Eugenio Pandolfini, and carries on and her professional activity with restoration design, temporary installations and public space projects.